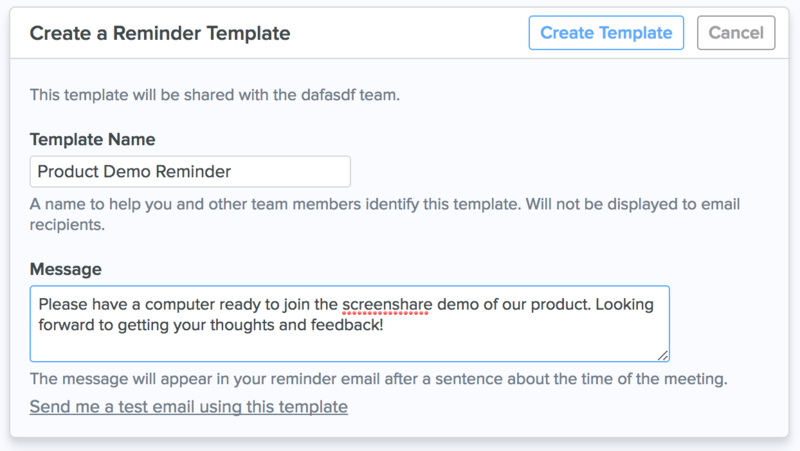 Learn how to properly configure reminder emails and templates to prevent no-shows and keep meetings running on time. Reminder emails are automatic reminders to event participants about upcoming meetings that prevent no-shows and ensure meetings start on time. They can be scheduled a few hours or days in advance of your meetings, and can be used with 1. events you schedule manually and 2. events scheduled using Scheduling Links. The name will only be used to help you and other team members to identify the template and will not be shown to email recipients. The message will appear in the reminder email following a sentence about the time and location of the meeting.